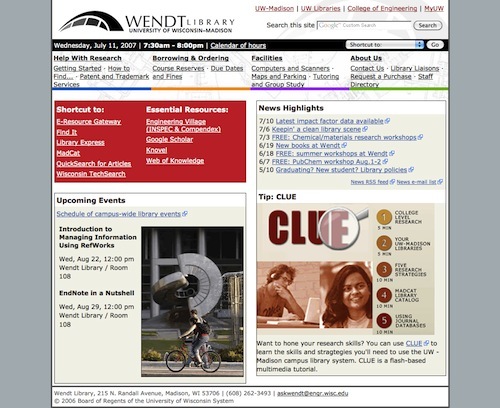 As webmaster for Wendt Library's website, I managed two website migrations over four years. 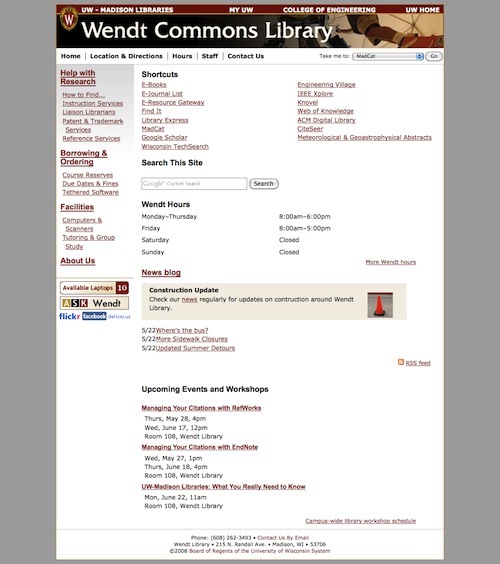 In the first migration, we deployed the Drupal content management system in concert with upgrading our visual style and simplifying our content. In the second, we adopted a visual brand more closely aligned with the University.